If your hair is dull, dry or damaged, you don’t need to turn to expensive hair care products to bring its shine back. These three effective homemade hair mask recipes can significantly improve your hair quality because all-natural and organic homemade hair masks nourish the scalp and hair roots. Plus, making a homemade hair mask is not just very cheap, but also quite easy —you simply need a few kitchen ingredients. Egg mask is one of the most health beneficial homemade hair mask. This all-natural hair mask is suitable for all hair types owing to the high content of protein and fat in eggs. What eggs do to your hair is maintain its moisture. In fact, the egg white is rich in antibacterial enzymes which cleanse both your hair and scalp. Plus, it’s a great protein treatment for your hair and scalp. Take 1-2 eggs depending on your hair thickness and length. Beat the eggs well and apply them evenly on your hair and scalp. Cover your hair with a shower cap and leave the mask to act for around 20 minutes. Wash it off with cold water and a gentle shampoo. If your hair and scalp are oily, use only the egg white. Apply the homemade hair mask twice a week for better results. This homemade hair mask is particularly beneficial for treatment of dry, damaged or thinning hair because it provides your hair with potassium, vitamins, antioxidants as well as natural oil and moisture. 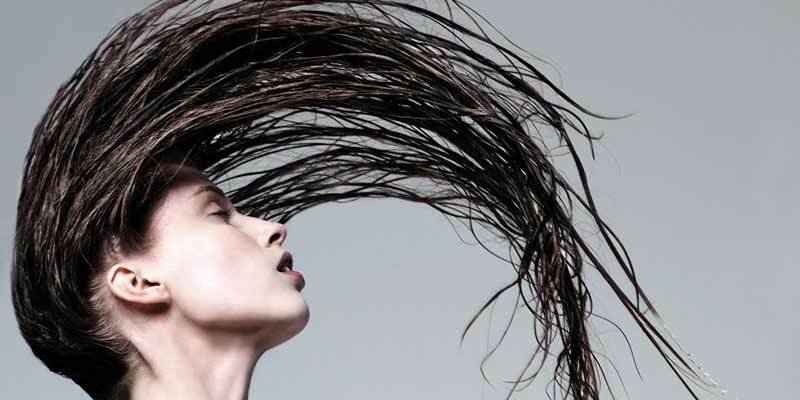 It significantly improves your hair quality by making it stronger and healthier. It’s particularly effective for thin and weak hair. This banana hair mask is also beneficial because of its moisturizing properties which prevent hair breakage and split ends. It improves your hair elasticity apart from making it strong and lively. Mash the bananas well until you get a smooth paste. Add in the honey, olive and coconut oil and mix well. Apply the mask on your scalp and along your hair. Cover your head with a shower cap to avoid dripping. Let the mask act for about 15-20 minutes. Using warm water, rinse your hair thoroughly combing through to remove any banana pieces. This recipe uses overripe bananas because they are easier to mash into a fine paste without leaving any banana chunks that can later get stuck in your hair. This combination is extremely efficient in repairing and moisturizing damaged hair. You only need 2 common kitchen ingredients – organic coconut oil and organic raw honey, both of which provide your hair with the nutrients essential for soft, smooth, and healthy hair. Heat the mixture in order to help your hair follicles open up. Applied the mask either to dry or wet hair. You may find it easier to apply to wet hair. While applying the mask put a towel around your neck to protect your clothes. Apply evenly from top to bottom, focusing on the hair ends, which are generally most damaged. Wrap your hair in a bun and leave the homemade hair mask to act for 30-40 minutes. Using your regular shampoo and conditioner, rinse it off with lukewarm water.